A student-project from Augsburg, germany called e-transform made a video about energy-saving lifestyles. The students asked us for an interview and to introduce our chosen mode of transportation. 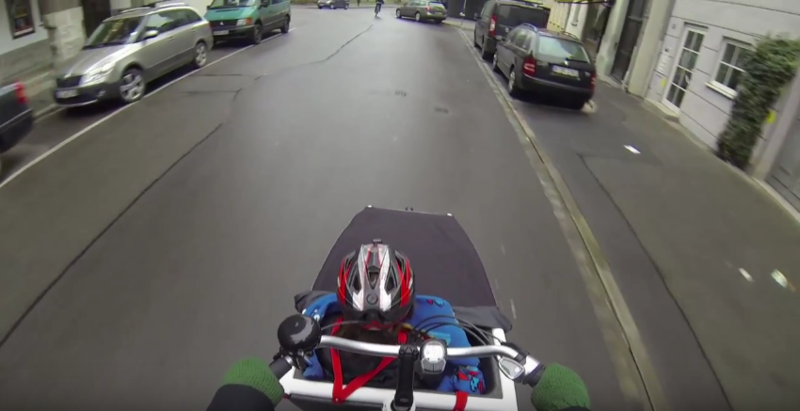 We were glad to be able to contribute and to promote a life with cargo bikes instead of cars. Das B&B fährt sich lustig, wie wir letzten Sommer schon feststellen konnten. Leider war unsere Testfahrt nur sehr kurz, ohne Ladung und eben nicht in Alltagssituation. Der ausführliche Test erfolgt am ersten Oktober Wochenende und wird kurz darauf hier zu lesen sein. Previous Previous post: a bowler, a mustache, a tricylce. Next Next post: That SOB!